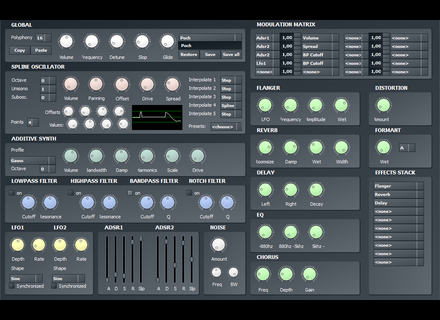 Tunefish v3, Other Virtual Synth from Brain Control. Brain Control has introduced Tunefish v3, a free synthesizer instrument for Windows. Tunefish is a virtual analog synthesizer. It is developed to fit into about 10kb of compressed machine code while still producing an audio quality that can compete with commercial synthesizers, according to Brain Control. This VSTi, unlike the version of TF which is used in 64k intros of Brain Control is larger, mainly because it is based on the Qt framework for C++ to make the GUI possible. 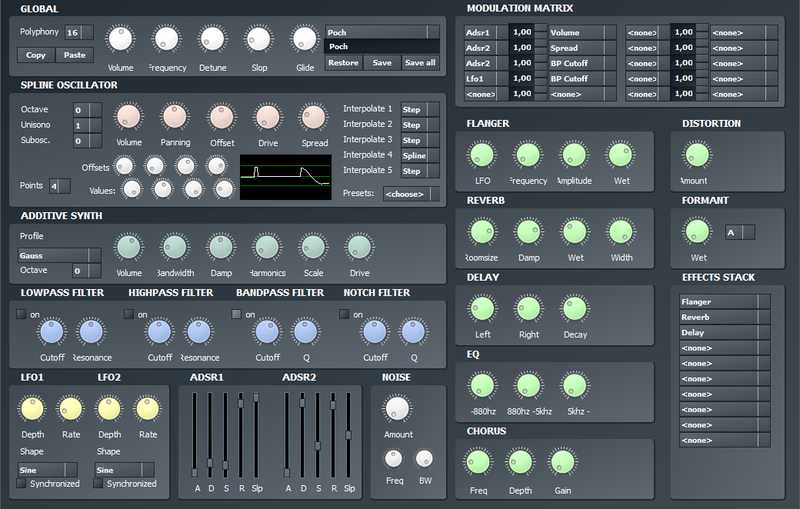 Implemented as a VST instrument to be used in your favorite sequencer. Uses a spline based oscillator that can by configured dynamically. Additionally to normal sine, sawtooth, triangle and pulse waveforms, it can do anything that is possible with 6 points and step/linear/spline interpolation, the company says. Lowpass, Highpass, Bandpass and Notch filters are available. 4 ADSRs and 4 LFOs that can be linked to any important knob using a modulation matrix. The effects stack allows for permutations of up to 10 effects. Tunefish is available as freeware for Windows (VST). Sony Cleanroom Electronica Sony Creative Software has released Cleanroom Electronica, a new sample library by Jeremy Goldstain of EVAC. Sonokinetic Project Infinity Sonokinetic has announced the release of Project Infinity, a new Cinematic SFX Instrument for Native Instruments Kontakt. Cockos Reaper 4.02 Cockos has updated Reaper to version 4.02, designed to improve on 4.0's mouse modifier support, adding more scrub/jog customization and marquee zoom support.